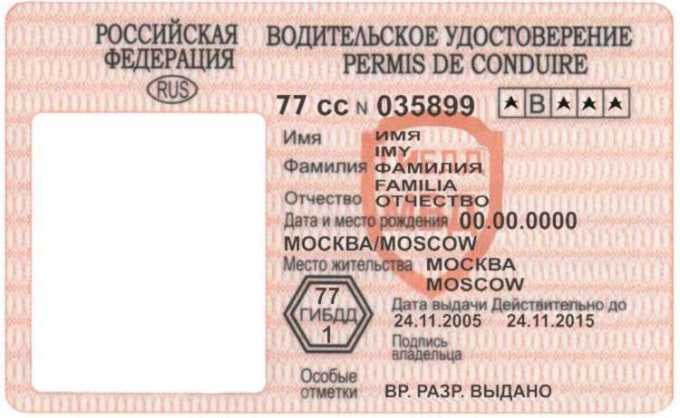 10 years exactly for such period shall be issued a driver's license in the territory of the Russian Federation. At the end of this period, be sure law need to change to a new one. This so-called extension (extension) driver's licence. But for many drivers the time when you need to obtain a new document turns into a real torture. After all, how to do it, they don't know. If you run out of "shelf life" of your driver's license, then take care of him sharing at least a month before that date. Well, or at least 2 weeks. Otherwise you will not be able to drive a vehicle until you get new rights. In order to exchange them, contact any Department of licensing (of course, it is best to choose the one that applies to you according to place of residence). Please bring your necessary documents: passport, medical certificate, which records your suitability for driving a vehicle, the copy and, of course, old driver's license. Don't forget to also pay the state fee for issuing a new driver's license. Now it is about 800 rubles. This can be done in any savings Bank. If you are not sure that the cashier will find the financial details of your management traffic, then take them in advance directly to the branch. A receipt for payment and attach all the documents that pass the inspectors. Before you could choose which driver's license want to have old (large) or new (a little card). However, from 1 March 2011 under the international Convention on road traffic, issue only the rights of the new sample, i.e. small. For such photos do not need to have your picture taken on the spot. And the cost of the work and photo of already inscribed in legal costs. If you have expired medical certificates, first make sure to update it. It is possible to undergo a medical examination at their local clinic. But it can be done in specialized medical centers, where spetsializiruyutsya it on the medical examination is the drivers. After you pass all your documents into the window receiving inspector, you will have to wait about 2 hours. Then go to the window issue papers and bring your new driver's license. By the way, the state duty can be paid not only through the teller at the savings Bank, but also through an electronic terminal. However, in this case, you'll be charged a fee for services rendered. But it is usually low - around 1% of the total. It helps you to do everything without Queuing.